What better way to keep a wonderful island top of mind? Featuring the white, red and blue of the Turks & Caicos flag, this lovely chevron embossed charm will surely remind you of a perfect holiday. All charms are approximately 10mm in size with a 5mm diameter hole. Keep fond memories of Turks & Caicos top of mind with a Turks & Caicos Flag Charm. 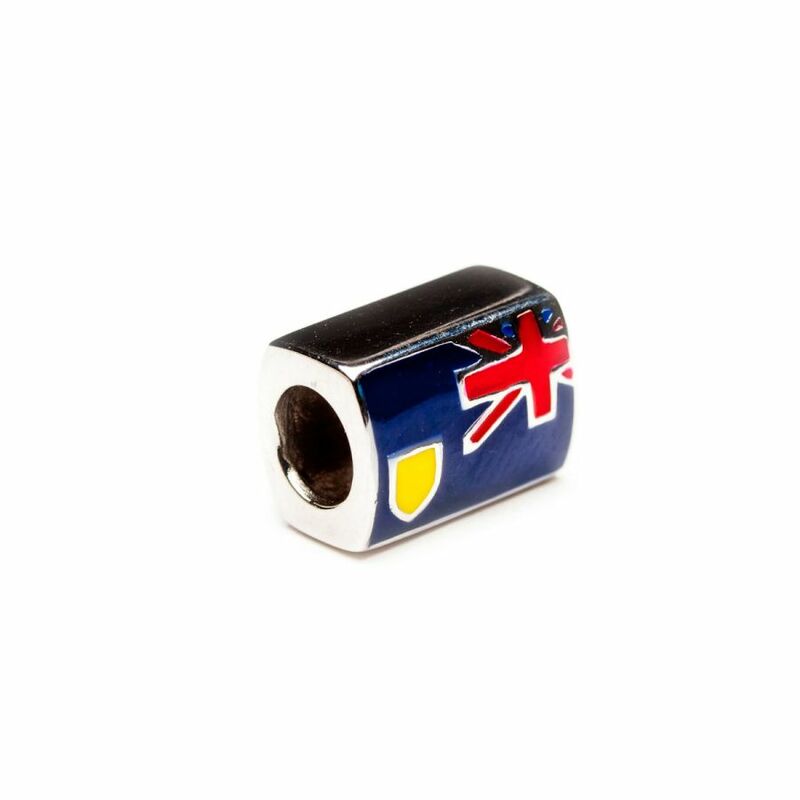 This sterling silver charm showcases the Turks and Caicos Flag. All charms are approximately 10mm in size with a 5mm diameter hole and will fit on any charm bracelet.